1.The maximum size of the mixing material of the supporting host the concrete mixing plant is in accordance with the relevant provisions of GB/T 9112, and it should have the ability of instantaneous overloading 10%. 2.The mixing time of the forced and self – dropping type of mixing machine is absolutely consistent with the requirements. 3.Unloading height is determined according to the type of transport vehicle. 4.The unloading belt of concrete mixing plant can prevent concrete from segregating. 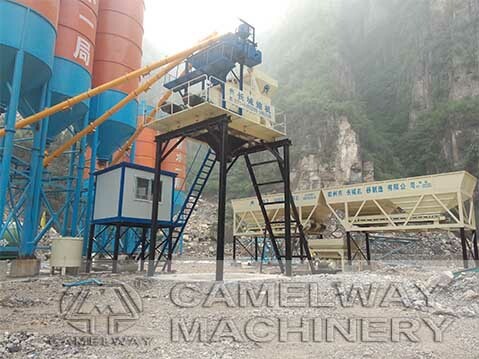 5.According to the user’s need to set the input sequence of various materials, supply quantity and mixing time, concrete mixing plant will be in accordance with the setting process to normally operate. 6.The reliability requirement of concrete mixing plant is high.